The books of 1 and 2 Kings were originally joined in one book. We don’t know who the human author of these books was; Jewish traditions say it was Jeremiah and it may very well be so. 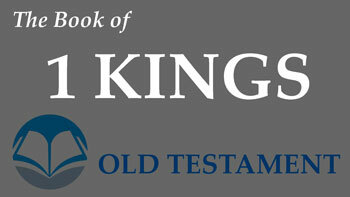 1 Kings begins with the end of David’s reign, who was the greatest king of ancient Israel. 2 Kings ends with the fall of Jerusalem and the forced exile of God’s people. These are books that begin high and end low, with lots of peaks and valleys on the way.